Anyone with a beautiful garden and landscaping appreciates sod cutters. It helps remove grass, complete with its roots. There are a few levels at which it can be operated, giving you flexibility while using it. Sod cutters give you a consistent work flow and allow for an even finish. Before you get down to using the device, it is important that you get rid of all small branches and rocks that are in the way. Turning on and moving to neutral: Operating a sod cutter is simple and once it is on, its lever has to be moved to the neutral position. Engage blades and move into low gear: Next, engage the blade lever and lift the sod cutter’s handlebar with your other hand. Now move the gear shift into low and pull gently on your throttle exerting only a little pressure on the handlebar. Check depth of trial cut: Cut a small patch and place the cutter in neutral. Check for the level of cut and adjust it at this point if you are not happy with it. Turn it to the right for lesser depth and counter-clockwise for more. Set and lock depth: Once set, lock the depth with the knob. Work on the grass till it is done to your satisfaction. Cut sod strip: Once the grass is cut, push forward on the blade engagement control while holding the throttle. This will cut off the end of the sod strip and you can take the blade off. The next thing you need to know is that there are different kinds of sod cutters and they are used in varying circumstances. Square Edge Cutter: This is the most basic of models and looks like a shovel with a shorter handle and rounded edge. You can use it to remove small patches of sod or to edge your garden. Using a square edge cutter: When using it as an edger, place it in the soil and use your foot to drive it in. This should be as close as possible, to the point, where your grass ends at the pavement. Use the shovel like a cutter and get rid of all the sod and dispose. 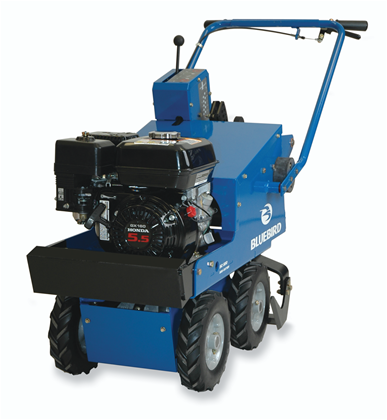 Kick Sod Cutter: This has two handles that are anchored together with a cross bar. You have a blade and roller at the end and the blade can be adjusted for project you are working on. Using a kick sod cutter: You move the sod cutter by kicking the crossbar along. This is best for long strips of sod that can be cut and rolled up. Motorized Cutter: For large patches of area, a motorized cutter will work best. It is powerful,therefore you will need to check first whether you will be able to handle the machine or not. Most of the models come with their set of instructions, which is pretty easy to follow. Get yourself a sod cutter, which is in good condition, and well-maintained, so you can carry your project through to a smooth finish. Many homeowners spend a lot of time, and money, on landscaping and home improvements to give their home that “curb appeal.” But often, the first thing people notice when they come to your home is the condition of the driveway. How Do Driveways Wither Over Time? Sun Rays – The harsh effect of the sun weakens the concrete and causes expansion joints on concrete driveways. 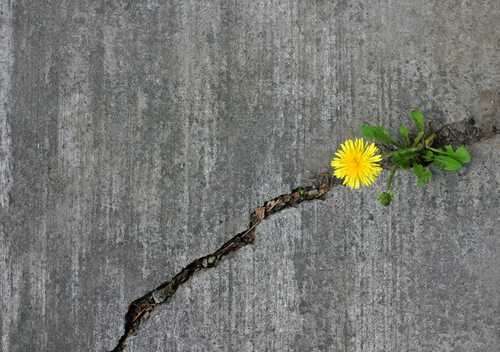 Water – Annual freezing and thawing cycles as water permeates through the cracks in the concrete to settle at the base, weakening the foundation. Gas, Spills and Grass – Gas and oil spills, and the growth of grass through the cracks break down the driveway even more. One however need not spend a fortune relaying damaged driveways. It is possible to restore driveways using driveway sealants and driveway expansion joint fillers. Fill the cracks – If the cracks are small, which is less than half an inch deep, rubberized crack fillers available in small tubes may suffice. For medium sized cracks, joint fillers are required. Squeeze the patch filler into the cracks, until it reaches the level of the driveway. Use a trowel to spread the joint filler and ensure a level surface. Repair crevices – When large cracks, gaps between the concrete blocks that constitute the driveway or crevices in the driveway are present, it is better to use grout instead. Use cement-based grout, which is a mixture of cement, fine gravel and water. Use a grout hand pump to mix the grout and make the task easy. Wait for grout to dry – Allow the grout to dry for a day or so before you proceed. Clean the driveway – Next, use a push broom to remove any dirt or debris, and wet the driveway with a garden hose lightly. Water and solvent-based sealants – Water-based sealants are environment friendly, but solvent-based sealers are more durable and better suited for heavily used driveways. Apply the sealant – Mix the water based or solvent based grout sealer, as per the manufacturer’s instructions, and apply the sealant over the driveway in thin coats. This helps the driveway resist water, oil and other contaminants. Use the push broom to spread the sealant evenly. Wait for sealant to set – Do not use the driveway until the sealant has completely set in, which may take as much as 48 hours. If you want your driveway to have the bright look all the time, you can seal it annually. Most good seals will last two or three years, depending on the type of winter you have and how much stress is put on the asphalt from plowing or snow blowing during the winter. One usually associates work, such as tree felling, limbing, pruning branches and removing foliage as long, drawn out hard manual work. However, the use of a chainsaw speeds up the work considerably and makes it easier as well. The first action is to get yourself a chainsaw. Chainsaws come in many shapes and sizes, and the best one depends on the task to be done. Bar Blade Chainsaws: Chainsaws with a bar type blade is best suited for basic tasks. For best output, the bar has to be at least a one third size longer than the tree or log. Electric Chainsaws: These are best suited for small trimming tasks. Gasoline Chainsaws: These are most suited for large-scale work, which require heavy felling and clearing. When getting a chainsaw, select the one most appropriate for the task to be carried out. Sharpen the Blade: Regardless of the chainsaw selected, make sure to fine-tune the bar and ensure a sharp blade. For large scale work, it is a good idea to have a filing kit handy, to sharpen the blade as required in the midst of the work. Check for Obstructions: Before starting the actual work, estimate the felling zone for medium to large trees. If there is a shed or other immovable objects in the felling zone, the felling may have to be done in stages, starting from higher elevations. The Safest Way to Cut: It is safer to cut from either the top or bottom of the bar and chain, but avoid the kickback zone, which is the top half of the bar’s tip. If this zone comes in contact with something when the chainsaw is in motion, the saw kicks back, which can cause serious injury. As an added safety measure, grip the handle by encircling it with the thumb around the front part of the handle. Clear Outgrowth and Foliage First: Cut the branches, outgrowth and foliage first before aiming for the trunk. For big trees, cut the branches from bottom to top. Begin Cutting from the Left Side of the Trunk: It is a safe practice to work from the left side of the trunk, as it allows resting the side or bottom of the saw on the trunk and slicing off the branches with a pivoting motion. Cutting the Trunk: Cut the trunk by making a downward cut, one-third the diameter of the trunk. Cutting straight down through a trunk may cause the weight of the trunk to pinch the bar and stop the chainsaw. Regardless of the type of chainsaw used, leave sufficient room for cutting. A chainsaw getting in the way of power lines, nearby cars and buildings, or any other obstructions can create a big mess, and turn out to be dangerous for the operator. Wood chippers can be differentiated on the basis of the way they cut chips. Choose yours depending on how you are going to use the chips. You have the drum chipper which can handle large loads at one time and churn out a range of wood chips, though not in even sizes. There is the disc chipper that slices into wood at a 45 degree angle. This is by far the most efficient of wood chipper models and can turn out evenly sized chips. The third kind is the screw chipper which has a blade that is shaped like a screw. The sizes of the screws are changeable, thus giving you even shapes of chips as you require them. With the right wood chipper in hand, it is merely a question of feeding in the wood to get the job done. Besides making mulch, wood chips can be used for several other purposes. A brilliant use of wood chips would be as fuel. It is a good source of biomass fuel, making it environment friendly, as well as energy efficient. If you are using it in your homes, you could use the chips in place of firewood. They can be lit up in much the same way and you can add bigger quantities of the chips to ensure your fire burns for a longer time. They can also be used to heat up large buildings as a replacement to traditional forms of heating that are power based. There are systems that have been put in place to use chips in large boilers for even distribution of heat. An interesting use of wood chips is for decoration. A large number of interior designers are now incorporating them into their designs to create wood chip paintings, murals and even furniture, which can be done by mixing other organic substances with it. 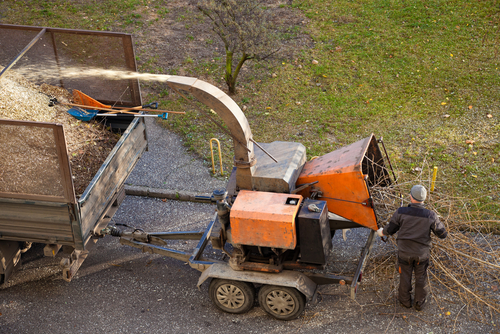 Rather than invest in one, a wood chipper rental can be a more feasible option. You can choose the model that best suits your purposes and be sure that it is well maintained and in good condition. All the accessories are provided along with it, and at the end of its usage you can always give it back. It gives you a chance to experiment with the different models around and see what best suits you. Carpets add texture, pattern and color to the floor. However, they require regular cleaning, over and above routine vacuuming, to protect from damage caused by dirt and grit, and to clean stains that accumulate over time. 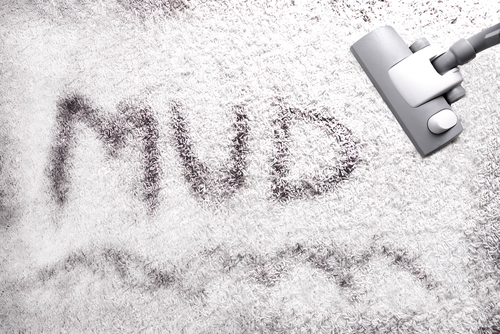 There are two methods of cleaning carpets: hot water extraction and dry extraction. The former is the most common and the most thoroughly used technique in homes and small establishments, and is the less expensive option as well. It is easy to hot water extract your carpets clean as a DIY project, provided you have the right tools at your disposal. The two major items required are a commercial hot water extraction carpet cleaner and a professional carpet cleaning solution. Before starting the actual cleaning, remove all furniture and other objects from the floor, and vacuum the carpet thoroughly. Use a commercial hot water extraction carpet cleaner to apply the cleaning solution to the carpet and then pull the dirty solution back into the machine. As the cleaner is moved across the carpet surface with the button pressed, the spray extractor applies the cleaning concentrate on the carpet, agitates the carpet fibers with a floating cylinder brush, then extracts or vacuums the solution back up. This removes the grime and grit from the carpet into a recovery tank for the dirty solution. For heavy traffic lanes such as hallways and in front of sofas and chairs, feel free to repeat the cleaning more than once or twice. After the entire surface is cleaned, to make sure that the carpet dries within a few hours, rent a carpet fan blower. This will dry the carpet faster just like a blow dryer for your hair. This may be especially important if an activity is planned a few hours after cleaning. The frequency of cleaning depends on the texture of the carpet and the traffic it sees. Normally, once or twice a year will suffice, though with light-colored carpet, kids and pets that stain the carpet, and high traffic areas, it may require cleaning more often. Removing the grit at the base of the fibers with a commercial machine preserves the life of the carpet. The extractor removes abrasive grit that prevents the fibers from by being chewed up. A commercial machine is much stronger and more thorough than grocery store carpet cleaners. Commercial machines have more than twice the pressure from spray jets and more vacuum recovery power, removing more dirt and recovering nearly all the solution sprayed down for quicker drying times. Commercial machines also utilize a floating cylinder brush that rotates at 800 rpms, safely brushing carpet fibers clean. Commercial cleaning solutions also offer a variety of professional cleaning for removing tough stains like wine, kool-aid, makeup, black grease, tar and urine. Cleaning your carpet like a professional simply requires using the equipment and cleaning solutions that professionals use. Renting a commercial machine assures you are using the latest and most professional equipment available. To learn more, instructions on how to easily use these cleaners are always available at Runyon Equipment Rental. Cleaning the backyard makes for a good workout, and saves you the considerable expense of getting it done by professional cleaners. With a good hedge shear trimmer at hand, you can easily carry out this task as a DIY project. What Does Cleaning the Backyard Involve? The major tool required is the hedge trimmer. Hedge trimmers come in different variants, and different variants offer different levels of performance and dependability. While the basic models simply do the task, high-end models incorporate features such as ergonomic handles, anti-vibration technology and precision-ground blades to deliver better output and make work easy and comfortable. You can either buy the equipment or rent it out depending on your requirement. Other tools such as a chainsaw, tree shears and leaf blowers may be required, depending on the landscape and the extent of cleaning required. 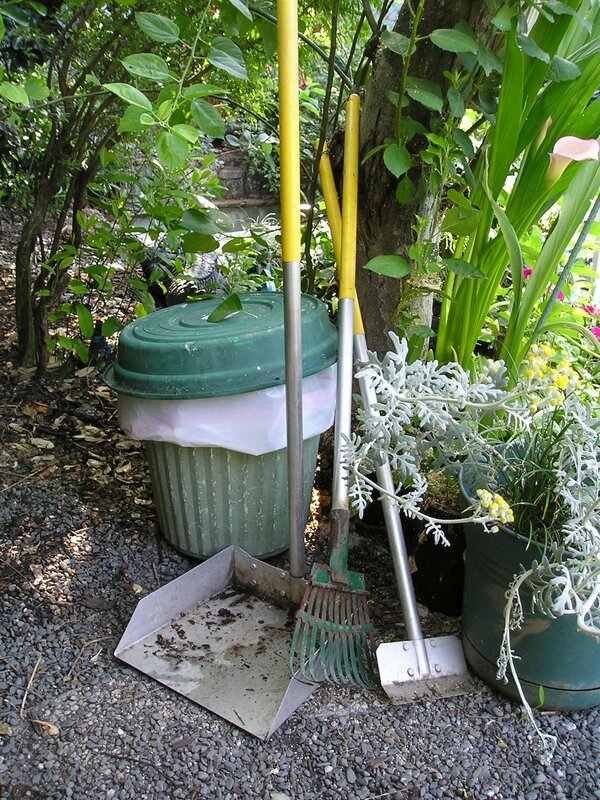 Remove large pieces of waste and debris, such as rocks, big boulders, and fallen down branches. Cut off any small overhanging branches using tree shears. 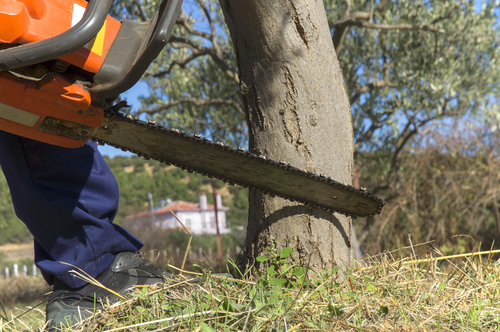 Cut off any big branches or the trees itself, if required, using a chainsaw. Trim overgrown shrubs, back bushes, and perennials using the hedge trimmer. Use the hedge trimmer to trim and keep the hedge in shape. Gas hedge trimmers score over electric and battery powered ones for detailed and intricate landscaping works. These trimmers are also cordless, facilitating easy movement. Use a leaf blower to gather dead leaves into a pile, and either burn them or put them in a compost pit. The right hedge trimmer, and an understanding of the process of clearing your backyard, will have you snipping away at your backyard easily and confidently.